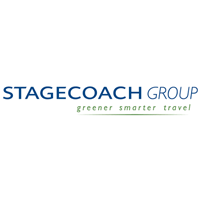 Stagecoach Group plc (LON:SGC) has been informed by the Department for Transport (“DfT”) that it has been disqualified from the current three UK rail franchise competitions. Stagecoach Group Chief Executive Martin Griffiths said: “We are extremely concerned at both the DfT’s decision and its timing. The Department has had full knowledge of these bids for a lengthy period and we are seeking an urgent meeting to discuss our significant concerns. “In contrast, the rail industry proposed solution would have delivered an additional £500million to £600million into the scheme. This would have provided better stability and security for members and much better value for taxpayers. We are shocked that the Government has rejected this for a higher risk approach. We would urge that a full independent value for money review is undertaken into this issue without delay. “Along with many other train companies, we believe strongly that the private sector should not be expected to accept material risks it cannot control and manage. In fact, this was a key finding of the Brown review into rail franchising more than six years ago. We are therefore extremely surprised that the Government still expects private operators to take risks they are not best placed to manage, despite the recent difficulties experienced by a number of operators of outsourced public sector contracts. Click SCG for the full archive.